A member of the Peoples’ Democratic Party (PDP), Obiora Okonkwo, has commenced contempt proceedings against the Chairman of the Independent National Electoral Commission, Prof. Mahmood Yakubu. Recall that Okonkwo was declared by a Federal High Court in Abuja as the senator-elect to represent Anambra Central Senatorial District. In the uncontested judgement of December 13th 2017, Justice John Tsoho also ordered the Senate President, Dr. Bukola Saraki, to immediately inaugurate Okonkwo to take over the Anambra Central Senatorial District seat in the Senate. However, Okonkwo on Thursday initiated the contempt suit due to alleged disobedience of the court’s December 13, 2017 order directing the INEC chairman to issue the Certificate of Return to him as the winner of the Anambra Central Senatorial seat. The Form 48, the notice for consequences of disobedience of the order of court marked FHC/ABJ/CS/1092/14 was caused to be issued through the registry of the court by Okonkwo’s counsel, Sabastine Hon (SAN). In addition to the contempt proceedings, Obiora equally asked the court to stop INEC from conducting the rerun election for the senatorial seat scheduled for January 13, 2018, since he had already been declared the winner of that election by court. 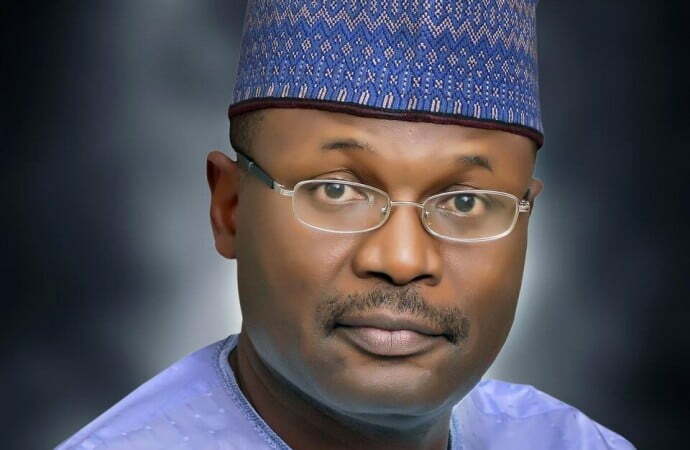 He also asked the court to declare as invalid in law, null and void, all the processes leading to and consequent upon the scheduled rerun election, including announcement of results, declaration of the ‘winner,’ issuing of certificate of return to the ‘winner’ and the determination of an election petition or election petitions against any of the defendants. The suit has 29 defendants including INEC, Chief Victor Umeh, the All Progressives Grand Alliance; Flint Ikechukwu Obiekwe; United Progressive Party; Senator Chris Ngige; the All Progressives Congress; Oyeh Mercy Uche; Accord Party; Hon. Oby Kate Okafor; Advanced Congress of Democrats; Chief Anayo Nweke; African Democratic Congress; Christopher Chukwendu; Citizens Popular Party; Okafor Ikechukwu; Independent Democrats; Chief Dennis Oguguo; Kowa Party and Kingsley Nwafor. The rest are Ekweozoh Nkem; Mega Progressive Peoples Party; Ubakamma Ikenna; National Conscience Party; Rev. Charles Ekwueme; People For Democratic Change; Igwilo Michael and the Progressive Peoples Alliance.